Beautiful, custom home. Beamed ceiling formal living room, large windows with custom wood shutters. The great room has a wall of windows, custom shutters and window seating with storage beneath, Gas fireplace, beamed wood ceilings. Large kitchen features Granite countertops, built in stainless appliances, recessed lighting, 6 burner gas range, center island, tile flooring and plenty of cabinets. Laundry room has lots of storage, Granite countertops and tile sink, Here is a bath with full size shower and a 4th bedroom, perfect for an office or private guest area. 2 car garage, with opener, and even more storage. The garage houses the water softener system and Central vacuum system. South of the great room is the guest bath, with private toilet/shower room and dual sinks, 2 additional bedrooms with closet organizers and custom shutters, and finally the master bedroom and bath. Double closets with organizers, peek-a-boo storage behind the door, custom wood shutters, master bath with dual sinks and beautifully tiled, seated full size shower. Large concrete patio in back with aluminum/wood cover, gas & electric BBQ hook up and well manicured landscaping extras. 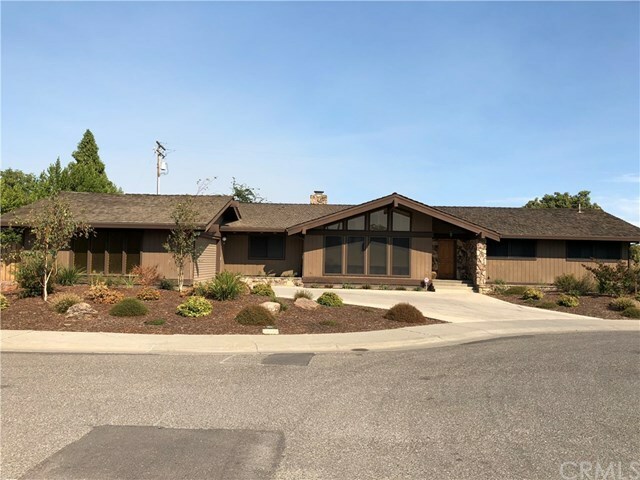 The front of the home has low maintenance, eye appealing dry landscaping and both the front and the back areas have automatic sprinklers and drip systems. 8 camera private security system with monitor. Dual water heaters, HVAC systems on both ends of the house. This is a home you do not want to miss! Directions: From Wood St turn North on Pacific, East on Northgate.